As we all know, President Maithripala Sirisena has sought the opinion of the Supreme Court that whether, he, as the person elected on 9 January 2015, has any impediment to continue in the office of President for a period of six years. In terms of the Article 30(2) of the 19th Amendment, the President shall hold office for a term of five years. 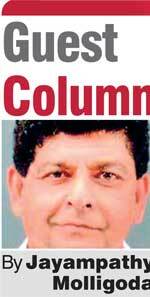 It is important to analyse the socio-political considerations apart from the legal and constitutional validity of granting a six-year term for President Sirisena, thus enabling him to stay in power till end November 2020. The writer’s view is this will effectively change the political game plans of the main political parties to be contested at the next general and presidential elections due to be held only after December 2019 under the existing provisions in the Constitution. Contrary to popular belief, the presidential elections shall be held on or around December 2019 under the existing provisions in the Constitution, whereas unless the Parliament dissolves itself with a two-third majority, even the President cannot dissolve Parliament before four-and-a-half years, meaning the earliest date for the general elections would be in March 2020. 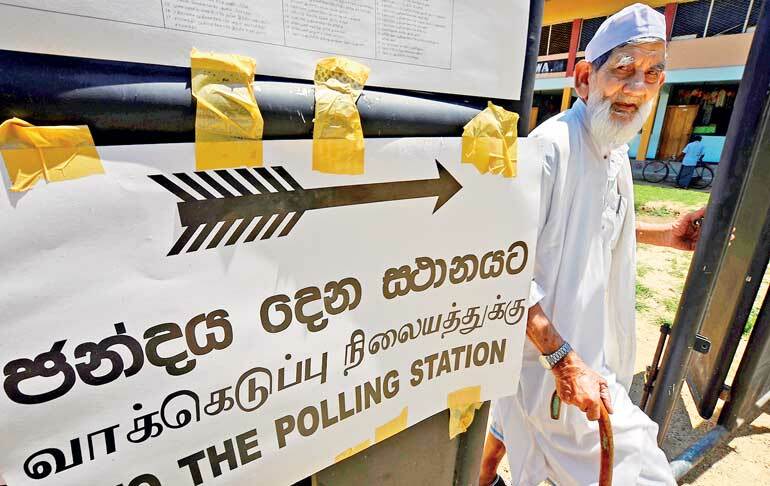 In short, the presidential election would essentially supersede Parliamentary elections, unless necessary amendments are brought in to the relevant provisions in the Constitution. This will enable the present Government to hold next Parliamentary elections in 2020 whilst the incumbent President holds office to spearhead the elections. It is in that context only the President’s request to seek opinion of the Supreme Court should be viewed. He further said that the 19th Amendment to the Constitution is operative after the incumbent President was elected for a term of six years by the people. It is true that, in terms of the Article 3 of the Constitution, the sovereignty is in the people and is inalienable. Sovereignty includes the powers of the government and franchise. People’s sovereignty is a fundamental right guaranteed under the constitution. Quote: “…The Members of Parliament hold a mandate and are agents of the people”. These are the extracts of the judgement delivered in 1987 on the 13th Amendment to the Constitution by Justice Wanasundera. Therefore, it is obvious that it is the power of the people that is exercised by the President and Parliament. Both the Parliament and the President derive power from the people. Doesn’t it affect people’s sovereignty? Let us examine the relevant provisions in 19 A to the Constitution. Article 49(1)(b) in the transitional provision says that the President holding office on the day proceeding 22 April 2015 (referring to President MS) shall continue to hold such office after such date, subject to the provisions of the Constitution as amended by this act (19A). Although this provision is very clear – referring to the five- year term for the incumbent President as well – the AG has argued that what matters is the sovereignty of the people and the incumbent President was elected by the people before the 19A became operative. Therefore, for the purpose of determining the term of the office of the President, the provisions under 19A cannot be taken into consideration, that’s the obvious argument by the AG. In this connection, it is also relevant to draw attention to Article 33A of the 19th Amendment, where it says that the President shall be responsible to the Parliament for due exercise of his powers, duties and functions, etc. Earlier this provision of President’s responsibility to the Parliament was not there in the Constitution. In the event, the ‘fixing the President’s term’ goes back to ‘pre-19A’ scenario under the ‘principle of sovereignty of the people’, then the same principle applies to other changes that will happen by reverting back from Article 33A, meaning the previous scenario under which the incumbent President shall not be responsible to Parliament. It badly affects people’s sovereignty as people’s legislative power shall be exercised by the Parliament. One can’t eat the cake and at the same time have it also. A pertinent question would be whether the citizens’ fundamental rights will be violated in the event the term is extended. This is because the President would not be answerable to Parliament, if 19A doesn’t apply to the incumbent President. When this unity (so-called) Government came into power in January 2015, the outstanding external debt was $ 43 billion and the Sri Lankan economy was growing at a faster rate above 5% and a GDP of $ 80 billion at current market price. As per the Central Bank report 2016, the economy has been stagnating around $ 81. 6 billion in terms of GDP at cmp and the external debt outstanding as at end December 2016 has increased to $ 47 billion. It is expected that the GDP for the year 2017 was even lower than 2016 (2017 Central Bank report yet to come). One of the major drawbacks during the last three-year period is the delays in execution of policies and programmes. It goes without saying that getting policy implementation right is critically important for governance purposes. A simple governance structure, in our view, has two functional dimensions. A more participatory style of management for policy formulation/strategic planning, whereas a more authoritarian style is needed for execution of such policies efficiently. In this respect the previous Government has a proven track record for getting the implementation right. It is worthwhile to mention that the former Defence Secretary Gotabaya Rajapaksa played a major role in driving the infrastructure development of the country through instilling a strong work ethic culture. The immediate future scenario would be that more and more people would become dissatisfied with the Government machinery. This will lead to social unrest which makes the system ungovernable. Will this political strategy backfire? Coming back to the question of extending the President’s term by further one year, this will enable the President to hold the Parliamentary elections before the next presidential elections in 2020, whereas according to the present Constitution, the presidential election would have to be held in December 2019 before the general elections. Postponing elections is not a new or embarrassing act for this Government, however it affects people’s sovereignty in terms of Article 4(a) and 4(e) of the Constitution on two accounts, namely the franchise and the legislative power of the people. It is therefore interesting to find out as to why the present Government wants to postpose the next presidential elections till general elections are held and over. Is it because of ‘GR factor’?